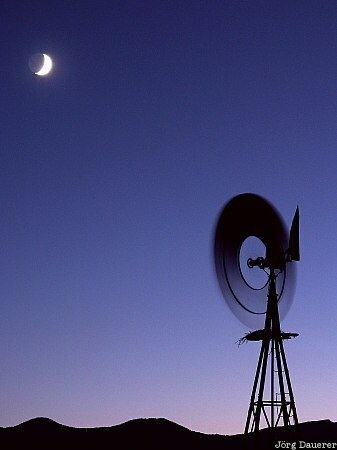 The rising moon behind a pin wheel near Great Basin National Park just after sunset. Great Basin National Park is in eastern Nevada in the western part of the United States. This photo was taken on the evening of a sunny day in September of 2003. This photo was taken with a digital camera.